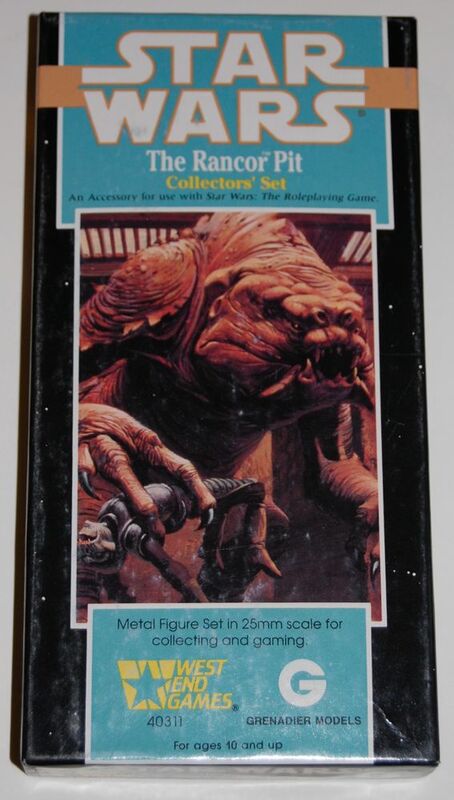 Like the Jabba’s Palace set, this also comes with an insert describing the characters that has their game stats on the reverse. 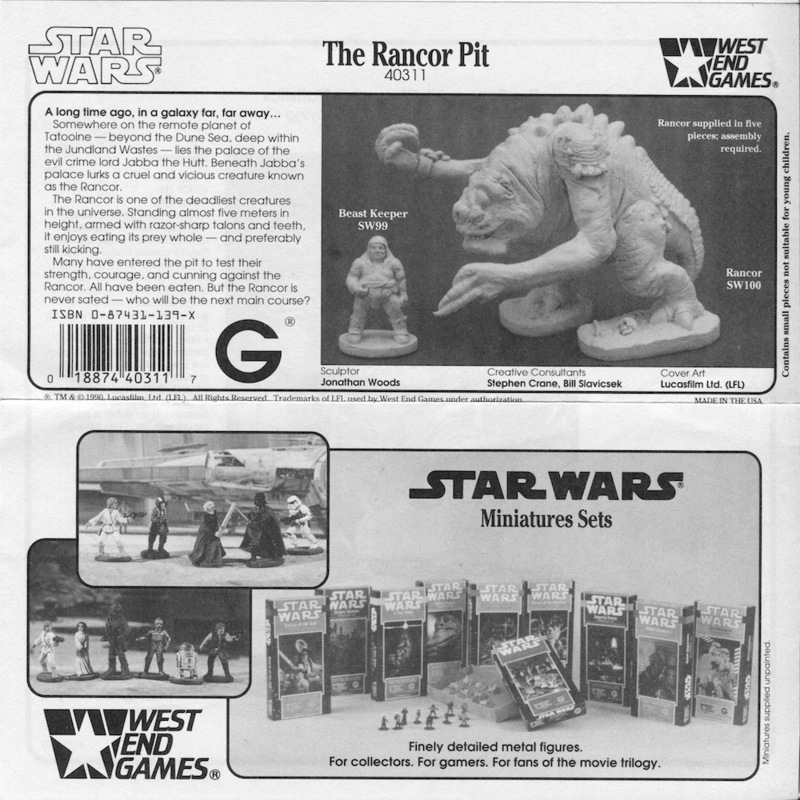 I would say that this set is a lot harder to find than the Jabba’s Palace one. 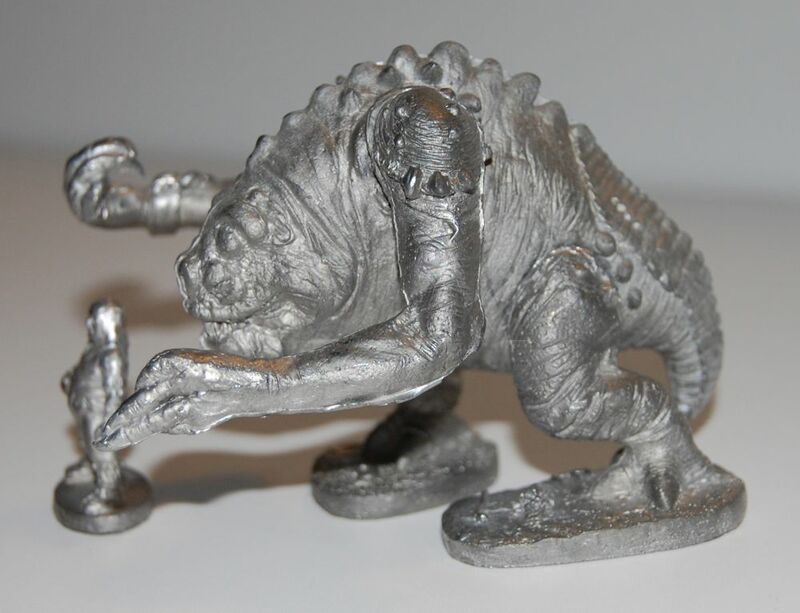 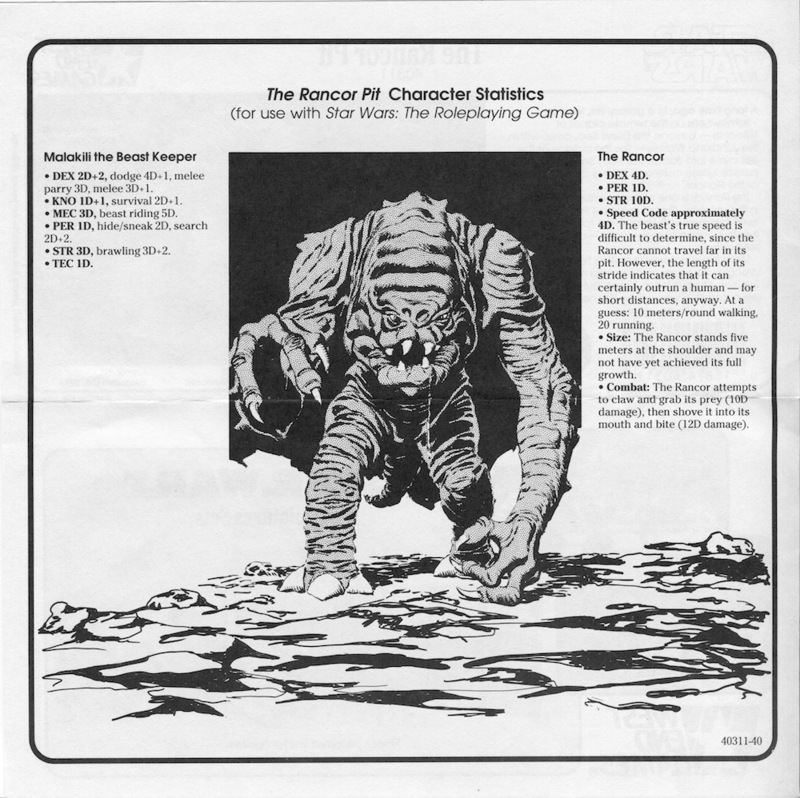 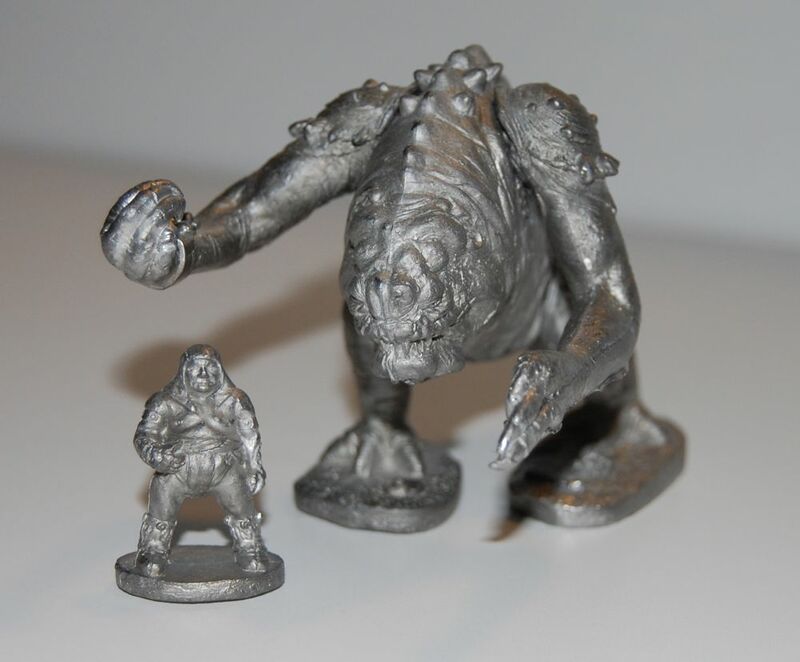 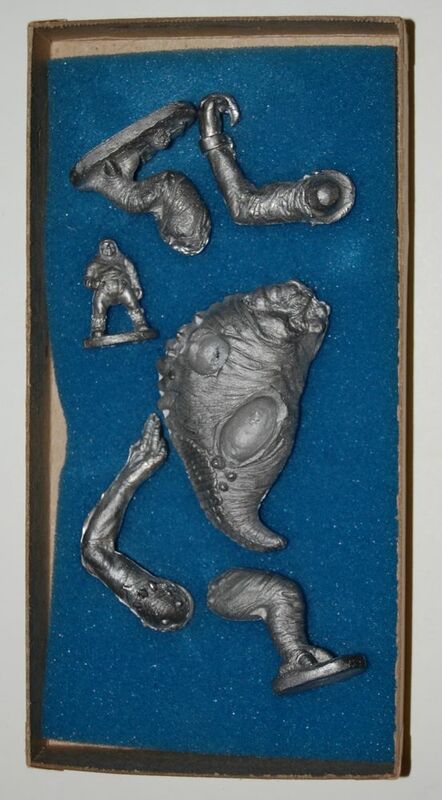 While I wouldn’t really call either “rare” it is certainly harder to get the rancor set at a reasonable price.